The Pekingese breed is unique in that it is one of the oldest dog breeds, originating in Peking, China (now Beijing) in the 8th century. For many centuries, Pekingese dogs could be owned only by members of the Chinese Imperial Palace. At that point, the punishment for stealing a Pekingese dog was death. There is a Chinese legend about the origins of the Pekingese dog. The legend goes that a lion and a marmoset fell in love, but the lion was too large. The lion went to the Buddha and explained his problems and the Buddha allowed the lion to shrink down to the size of the marmoset. The small lion became the first Pekingese puppy. There are also legends about the origins of the Pekingese breed, most of them involving a lion due to the Pekingese dog's resemblance to Chinese guardian lions. Pekingese dogs are commonly referred to as 'lion dogs' for this very reason. Pekingese dogs are also referred to as a Peke. The Pekingese breed first expanded outside of China in the 1860s during the 2nd Opium War. British and French troops occupied the Forbidden City (the Chinese Imperial Palace) and found five Pekingese dogs that were removed before the palace was burnt to the ground. The five Pekingese dogs were taken back to Britain and given as presents to several important people, including one that was given as a present to Queen Victoria. The Pekingese breed was first introduced to America when Chinese royalty presented Pekingese puppies as gifts to several visiting American dignitaries. Since that time, Pekingese puppies have become a popular breed in the United States as well as remaining popular in China. The Pekingese breed was first recognized by the American Kennel Club (AKC) as an official breed in 1906. Because of the desirable characteristics of the Pekingese dog, breeders have used it to create new breeds, such as the Pekeatese. Pekingese puppies have been around for over 2000 year and their appearance and traits have changed little during that time. The most prominent characteristic of a purebred Pekingese dog is their flat face. While this is an interesting trait of the Pekingese, this characteristic also leads to health concerns for Pekingese puppies because their flat face can make it difficult for Pekingese puppies to breath. Because of this trait, Pekingese puppies should never be kept outside for extended periods in very hot weather because their breathing problems can make it difficult for Pekingese dogs to regulate their body temperature. Purebred Pekingese dogs have a a very compact body and are surprisingly muscular and durable given their relatively small size. These characteristics make the Pekingese a great pet for small children, as Pekingese puppies are very durable and can withstand the accidental abuse that may come from being around small children better than other dog breeds. The Pekingese breed is a small breed and is therefore a member of the Toy Group of dog breeds. Pekingese dogs have an average weight of between 9 and 12 pounds. Another interesting characteristic of the Pekingese breed is that they have a double coat. The undercoat is think and soft while the outer coat consists of long and coarse hair. The coat of a Pekingese dog forms a noticeable mane on the neck and shoulder of the dog. This mane is the reason the Pekingese is known as the lion dog. Pekingese puppies come in all sorts of color combinations. However, the majority of Pekingese have a gold, red or sable coat. 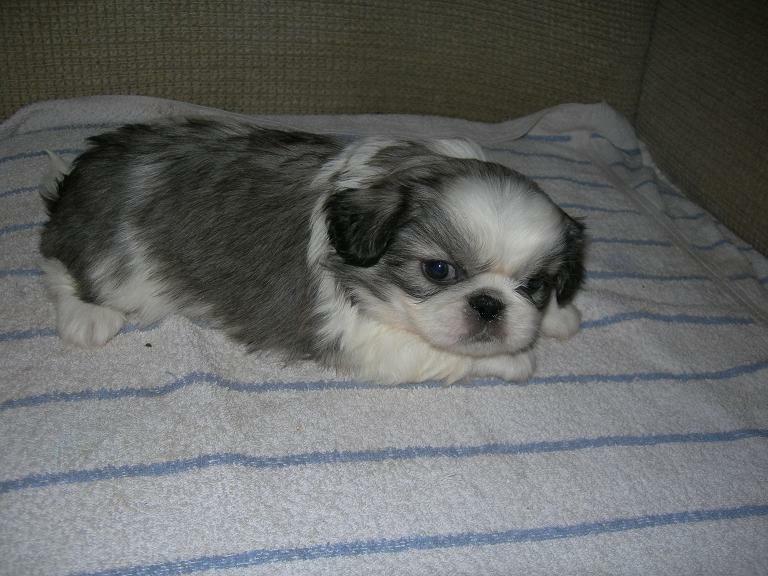 Other colors that appear regularly in Pekingese puppies include cream, black, white and tan. Pekingese puppies often have a black face, no matter the color of their coat. As mentioned the Pekingese breed was originally an imperial pet and as such, Pekingese puppies possess the trait of regal dignity. Pekingese puppies are very intelligent and have self-importance, making them good natured, opinionated and affectionate family pets and campanions. However, you must earn the respect of a Pekingese dog before they will bond with you. As with any dog, the best way to learn about the temperament of a Pekingese puppy is to spend time with the puppy. The temperament of a puppy is based off of many factors, including the parents and the environment in which the puppy is raised in addition to the breed of the puppy itself. Spending time with the puppy will help you learn more about that specific Pekingese puppy's temperament. As a small dog, a Pekingese puppy does not need a large living space, making them a good choice for apartment living. Because of their short legs, Pekingese puppise are not incredibly active and therefore do not require a backyard. However, Pekingese puppies do still enjoy going for walks. Even though the Pekingese is a small dog, they are muscular and durable, making them a great choice as family pets or companions of smaller children. Pekingese puppies do have a long coat if it is not trimmed. If you do not trim the coat of your Pekingese dog, they will require weekly grooming sessions to keep their coats manageable. 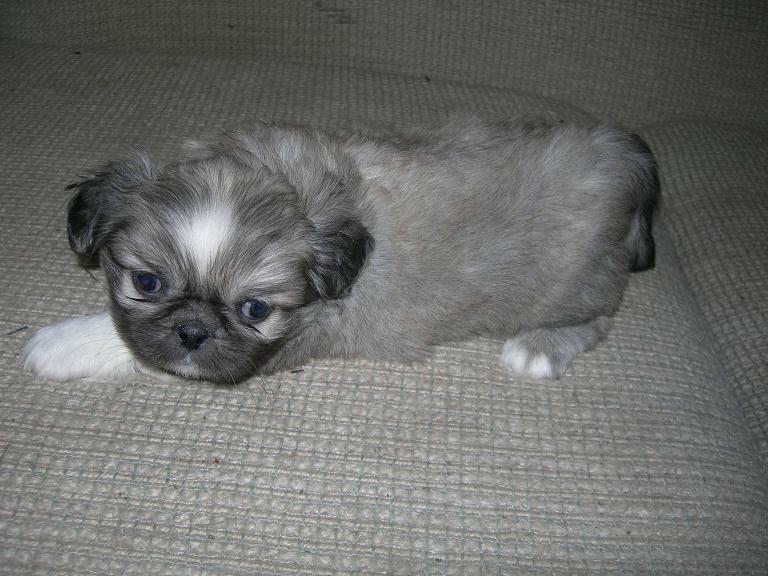 Below are the Pekingese puppies that are currently available for sale or adoption. If the Pekingese puppy you are looking for is not currently available for sale, you can join our puppy waiting list to be informed when new Pekingese puppies are available for sale. You can also view the other puppies that are currently available for sale. If you have a general question about the Pekingese puppies that are available for sale or adoption, or any questions about Pekingese puppies, you can contact us and we will be happy to answer your question. Unfortunately we do not currently have any Pekingese puppies for sale/adoption. 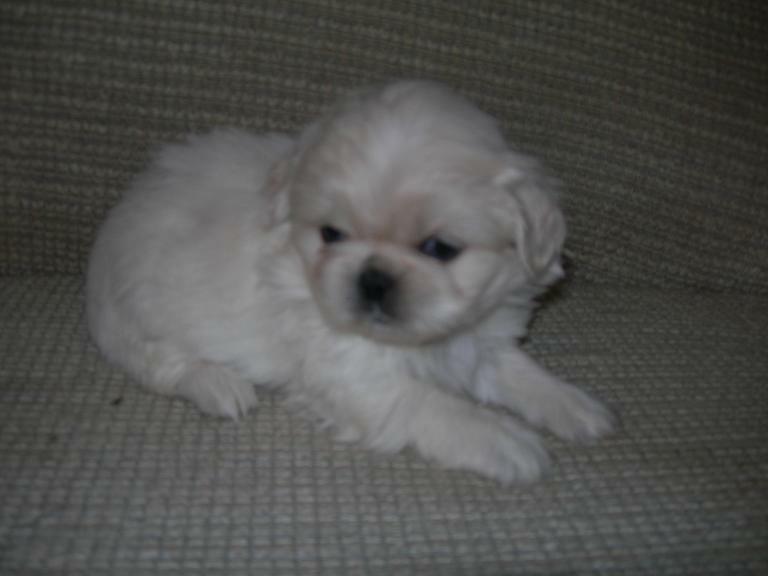 To be informed when we do have Pekingese puppies for sale, you can join the puppy waiting list here. *Note: The video above is a Pekingese puppy that we previously sold. We are located approximately 2 hours from the downtown Kansas City Kansas, Kansas City Missouri, Omaha Nebraska and Council Bluffs Iowa metro areas. We also serve customers in Topeka, Manhattan, Lawrence, Overland Park, Olathe, Wichita, Shawnee, Hutchinson, Leavenworth, Leawood, Emporia, Prarie Village and Salina Kansas, St. Joseph, Independence, Lee's Summit, Blue Springs, Liberty, Gladstone and Raytown Missouri and Bellevue, Grand Island, Kearney, Fremont, Hastings, Columbus and Lincoln Nebraska. We have Pekingese puppies for sale in Kansas, Pekingese puppies for sale in Nebraska, Pekingese puppies for sale in Iowa and Pekingese puppies for sale in Missouri.